Shape Potato, Irregular. Material Freshwater Pearl. Create gorgeous crafts with these quality beads. Color White. Shape Potato, Irregular. Material Freshwater Pearl. Create gorgeous crafts with these quality beads. Shape Potato, Irregular. Color Mauve Pink. Material Freshwater Pearl. Size 5mm-6mm. Shape Baroque, Irregular. 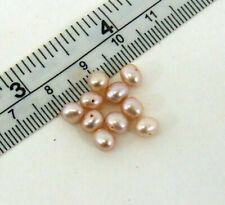 Material Freshwater Pearl. Create gorgeous crafts with these quality beads. Color White. Shape Potato, Irregular. Color Brown Peacock. Material Freshwater Pearl. Size 8mm-10mm. Shape Keishi Petal, Irregular. 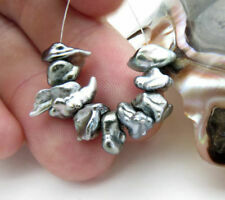 Material Freshwater Pearl. Color Cream Rainbow. Create gorgeous crafts with these quality beads. Shape Keishi Petal, Irregular. Color Peach Cream Rainbow. Material Freshwater Pearl. Size 9mm-11m. Shape Baroque (Irregular). Material Freshwater Pearl. Create gorgeous crafts with these quality beads. Color White. Shape Keishi petal, Irregular. Material Freshwater Pearl. Color Cream Rainbow. Size 9mm-11mm. Shape Keishi Petal, Irregular. 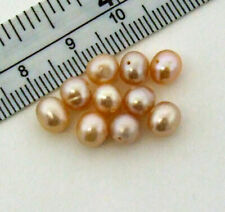 Material Freshwater Pearl. Color Cream Pink. Size 7mm-9mm. Shape Potato, Irregular. 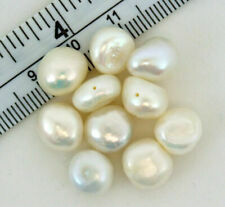 Material Freshwater Pearl. Color Chocolate. Size 3mm-5mm. Shape Potato, Irregular. 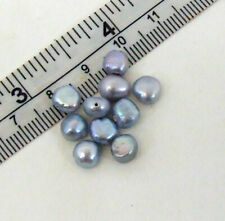 Material Freshwater Pearl. Create gorgeous crafts with these quality beads. Color Pink. Shape Potato, Irregular. Color Gray Peacock. Material Freshwater Pearl. Create gorgeous crafts with these quality beads. Shape Potato, Irregular. Color Green Peacock. Material Freshwater Pearl. Create gorgeous crafts with these quality beads. Shape Potato, Irregular. Color Copper Peacock. Material Freshwater Pearl. Create gorgeous crafts with these quality beads. Shape Potato, Irregular. Material Freshwater Pearl. Color Dark Champagne. Create gorgeous crafts with these quality beads. Shape Potato, Irregular. Color Dark Peacock. Material Freshwater Pearl. Create gorgeous crafts with these quality beads. Shape Flat-Sided Potato, Irregular. Color Silver Peacock. Material Freshwater Pearl. Create gorgeous crafts with these quality beads. Shape Potato, Irregular. Color Gold Peacock. 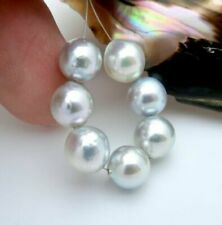 Material Freshwater Pearl. Create gorgeous crafts with these quality beads. Shape Potato, Irregular. 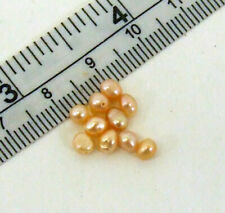 Material Freshwater Pearl. Color Champagne. Create gorgeous crafts with these quality beads. Shape Potato, Irregular. 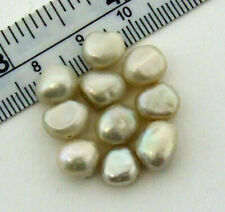 Material Freshwater Pearl. Color Cream. Create gorgeous crafts with these quality beads. Shape Potato, Irregular. Color Green Peacock. 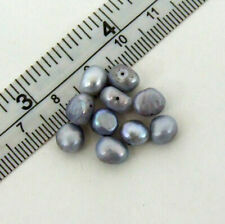 Material Freshwater Pearl. Size 4mm-6mm. Shape Potato, Irregular. Color Dark Peacock. Material Freshwater Pearl. Size 8mm-10mm. Shape Potato, Irregular. Material Freshwater Pearl. Create gorgeous crafts with these quality beads. Color Dark Green. Shape Potato, Irregular. 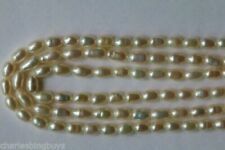 Material Freshwater Pearl. Color Champagne. Size 6mm-8mm. Shape Flat-Sided Potato, Irregular. Material Freshwater Pearl. Size 5mm-7mm. Shape Flat-Sided Potato, Irregular. Material Freshwater Pearl. Color White. Size 10mm-12mm. Shape Potato, Irregular. Color Silver Peacock. 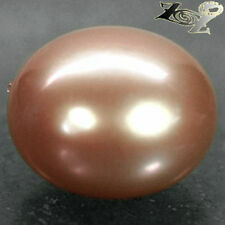 Material Freshwater Pearl. Size 5mm-7mm. Shape Potato, Irregular. Color Platinum Iris. Material Freshwater Pearl. Size 5mm-7mm. Shape Potato, Irregular. Color Brown Peacock. Material Freshwater Pearl. Size 3mm-5mm. Shape Potato, Irregular. Material Freshwater Pearl. Color Peach. Create gorgeous crafts with these quality beads. Shape Potato, Irregular. Color Grey Peacock. Material Freshwater Pearl. Create gorgeous crafts with these quality beads. Shape Potato, Irregular. Color Brown Peacock. Material Freshwater Pearl. Size 4mm-6mm. Shape Potato, Irregular. Color Brown Peacock. Material Freshwater Pearl. Create gorgeous crafts with these quality beads. Shape Baroque, Irregular. Color Black/Dark Peacock. Material Freshwater Pearl. Create gorgeous crafts with these quality beads. Shape Potato, Irregular. Material Freshwater Pearl. Size 6mm-8mm. Shape: Teardrop. Gemstone: Freshwater Pearl. Stone Information 9-9.3x15-16mm (with 3.2mm ring). Picture does not show the actual size. It may be enlarged to show product detail. Color: Milky White. 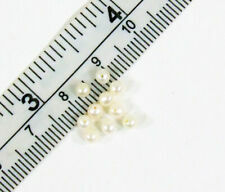 Item Material: White mabe pearl. Bottom line. US: FREE FREE. Item Grade: Excellent.